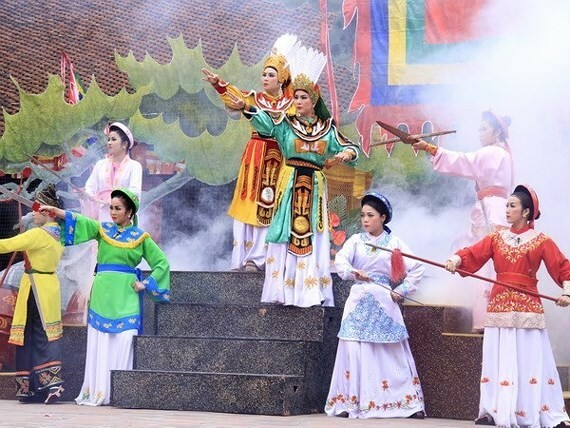 A ceremony celebrating the 1978th anniversary of the Trung Sisters’ Uprising against northern invaders in 40 AD was held at the Trung Sisters Temple, a special national relic site in Hanoi's Me Linh District on February 21 (the sixth day of the first month of the lunar year). On this occasion, the Trung Sisters’ Uprising has been recognized as a national intangible cultural heritage. 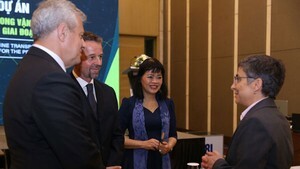 The meeting were attended by Vice State President Dang Thi Ngoc Thinh, Deputy Prime Minister Trinh Dinh Dung and former Vice President Nguyen Thi Doan. The festival featured a wide range of cultural activities, such as a performance that narrated the story of the uprising, and an offering of incense to commemorate the two famous sisters, Trung Trac and Trung Nhi. The event runs until February 23 (the 8th day of the first month of the lunar year).